For most flooring companies, the idea of sustainability has to do with the durability of its products. That’s important, of course; you want to make sure your new floors start gorgeous and stay that way. USFloors certainly agrees, but as a company with a deep commitment to environmental responsibility, they take sustainability to an entirely new level. USFloors cares about your comfort—even beyond the walls of your home. As the leading importer and producer of eco-friendly hard flooring, USFloors is leaving a mark on the industry without leaving a mark on the environment. In fact, not only have they implemented practices that reduce their energy footprint, but also their products and processes have a positive environmental impact. A lot happens on our floors. Our babies have “tummy time” on them before they learn to crawl. Our teenagers sprawl out on them for movie marathons and slumber parties. We sit on them to unwrap holiday gifts and to toss tennis balls over and over again to our furry best friends. You want to be sure the floors you choose can hold up to all that memory making. Not only that, but your flooring should be durable, and add to the healthy environment you create for your family. USFloors works hard to ensure their natural bamboo, natural cork, COREtec® luxury vinyl, and hardwood flooring meets or exceeds standards set by the Greenguard Environmental Institute and the California Air Resources Board. With a goal of 100% formaldehyde-free products, USFloors is an industry leader in air quality. This patented waterproof composite core flooring can be installed over existing hard surface floors. It’s glue-less, it won’t expand or contract under normal conditions, and the natural cork underlayment adds warmth while reducing noise. And not only does it resist mold and mildew, but also it’s completely waterproof. Bring on the fruit punch. COREtec is not scared. The latest-and-greatest flooring product rolls all the “pros” of other materials into one beautiful, natural, sustainable option. Natural cork is available in multiple densities, finishes, and thicknesses. Fun fact” The New York City Public Library and the Mayo Clinic boast cork flooring, and they’ve been around for more than 100 years. Now that’s durable! 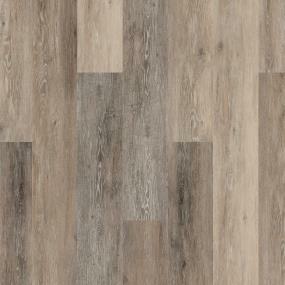 Beauty is more than skin deep with USFloors’ natural bamboo. 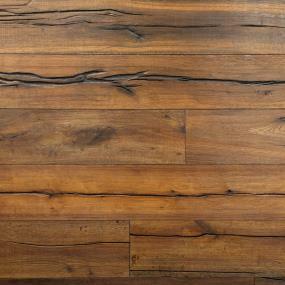 This flooring has a great personality, too. It’s tougher than some other hardwood, it lets stuff roll off its back (liquids, in particular), and it’s easy-going—resisting scuffs and scratches. Authentic wood develops character and appeal over time, and with the natural oil process USFloors uses on Castle Combe Hardwood, the more it’s used, the better it looks. That means, with this floor, you won’t have to do any tiptoeing. In fact, you’ll be more inclined to let the impromptu dancing and games of ‘fetch’ go on without a complaint. Twenty years from now they won’t be any worse for the wear—they’ll be even better for it. All USFloors products are eligible for Leadership in Energy and Environmental (LEED) credits in Rapidly Renewable Materials, Low Emitting Materials, Recycled Content, and/or Certified Wood. In addition, their materials are ethically sourced, which means they use only legally logged timber from managed forests. USFloors’ environmental sustainability doesn’t stop with their raw materials. They’re a leading solar energy producer in the communities where they produce their products. They recycle wood dust for fuel and are intentional in their consumption of electricity and water. Find your favorite USFloors styles and add the product images to the myProSource project center to share with your trade professional. Then stop by your local ProSource Wholesale® showroom to learn more about USFloors’ commitment to the environment—and to you!